This morning I made a nice hot cup of coffee and wonderful creamy milk foam.When I poured the foam into the coffee cup and the rest of the liquid milk spilled into the foam, a funny pattern emerged. 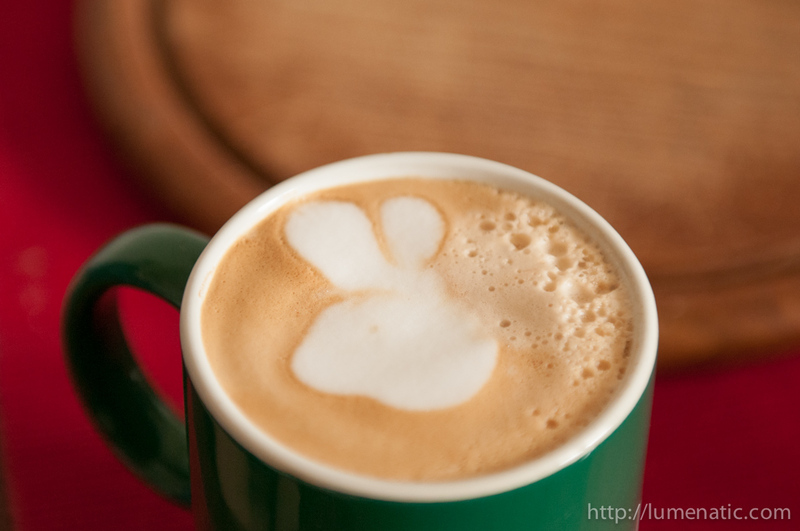 I present to you: The Coffee Bunny. Maybe it’s a sign to prepare for the upcoming easter season ? P.S. : No Photoshop involved here !